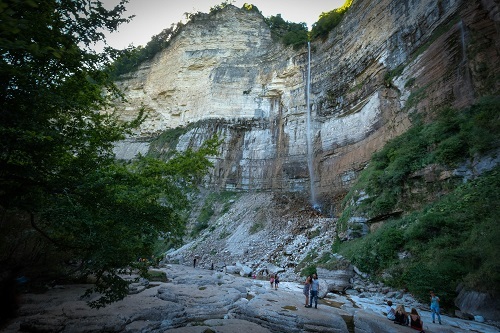 Traveling to Georgia and Armenia is fast becoming popular among adventurous travelers who enjoy nature with ancient history. We have been traveling around Georgia and Armenia in September 2017 by our own car, visiting vast areas in both countries. 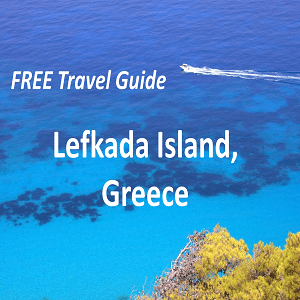 We decided to share (our) best spots in the following travel itinerary. The best way is to join exploring both countries together and if you feel comfortable driving in a foreign land, you won’t miss when renting out a car – our recommendation is Economy car rentals. You can also explore Armenia and Georgia by local transport – marshrutkas, which is cheap and effected. Most people start their travel in Tbilisi – the capital of Georgia and that is why our travel itinerary will start here as well. Check-in in the hotel and take it easy, to adjust to the new culture and city vibes. Hotel recommendation: We stayed at the lovely guest house Georgian House, just underneath the main cathedral. We had 15 minutes on foot to the river and old town. The hotel has great location as it is surrounded by shops, mini farmers market, fast food joints and bakeries. If you’d like to be closer to the old town, check the hotels out here. 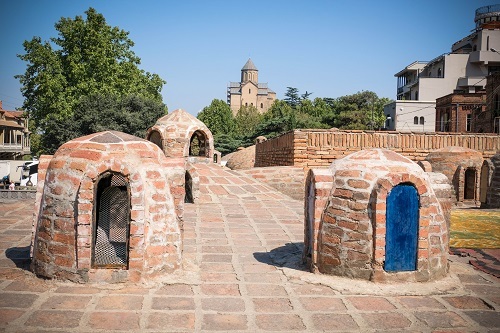 Enjoy a full day for wandering around Tbilisi – hike or take the gondola ride to the Nari Khala fort, walk around the steep and picturesque alleys, indulge yourself with the local baths (the oldest part of Tbilisi). 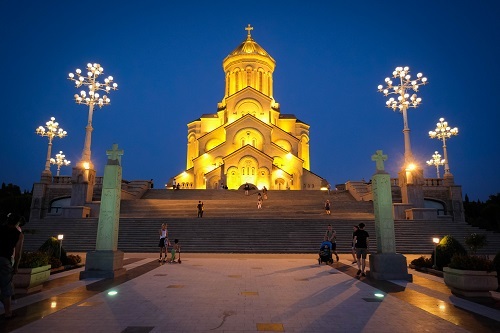 Don’t forget to walk over the famous Bridge of Peace and admiring the views from the main cathedral Sameba / St. Trinity. You can read more about Tbilisi tourist attractions here. Continue your travel to Kutaisi and stop in the city of Gori – the birth place of Stalin, by visiting his museum. 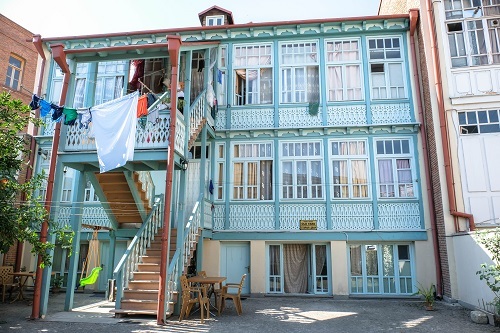 You should reach Kutaisi in the afternoon, so check out some accommodations here. If you are not tight with schedule and time, we would suggest you to stay one full day in Kutaisi and make a day-trip from there. 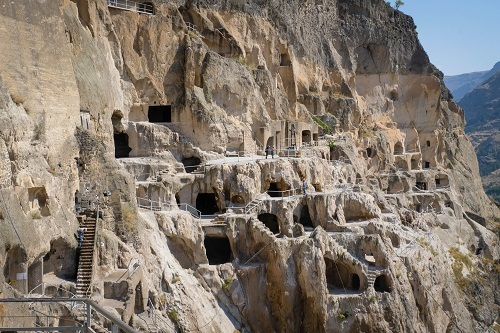 You can either choose to see the Gelati monastery (under UNESCO) and the Prometheus underground cave or you decide for a new tourist destination in Georgia – Okatse canyon with his »Sky Walk« alike bridge, above the canyon. 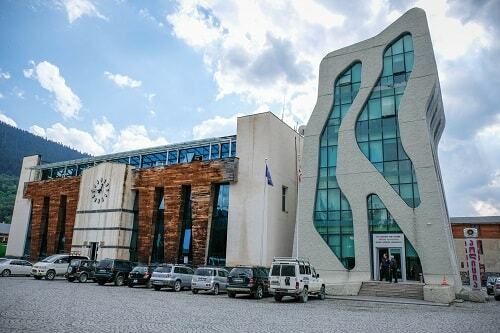 Stay one more night in Kutaisi – hotels here. Start your day early as you’ll have a long day ahead of you. 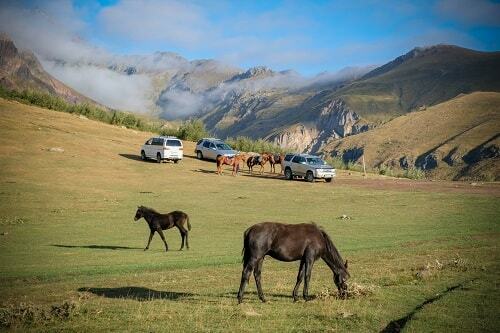 You will reach Mestia in Svaneti after zig-zagging road. The ride will seem long, but it is definitely worth it – Mestia is amazing place to be. A day there is really too little, so plan to stay here at least 2-3 days – depends also what are your interests. The Mestia is great starting point for hiking to glaciers. 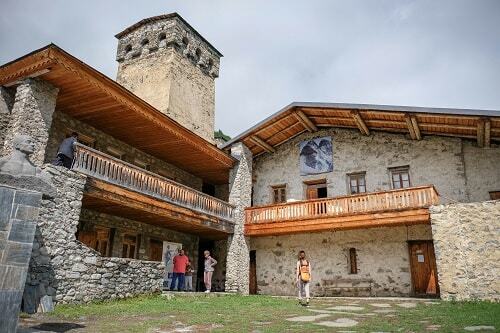 Check out more about Mestia and Svaneti here. 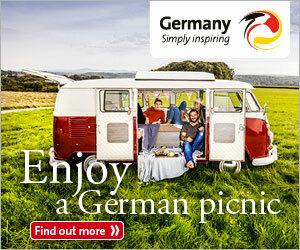 Look out for accommodation here or if you have a tent with you, there is a camping ground available as well. 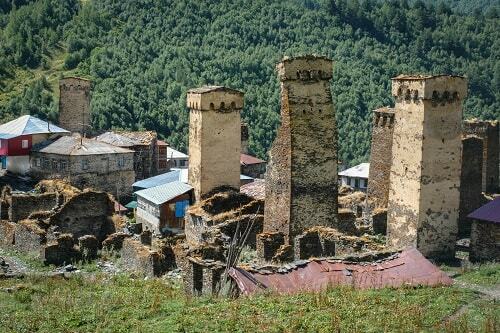 If you already reached Mestia, you cannot turn back without a visit to Ushguli, especially as a better road is being building, what will soon bring more tourists to these unique »forgotten« villages. When we were there the only option was to reach Ushguli on foot or by 4×4 (the 4×4 vans leave each day from the main square in Mestia). Ushguli will for sure blow you away for its beauties, so do stay at least one night there as well. 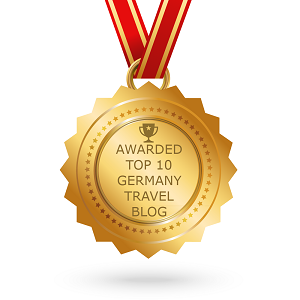 The best option for an overnight stay are guest houses (check them out here). If you’re bringing a tent, most guest houses will also allow you to pitch a tent in their garden for a minimal fee. After returning to Mestia from Ushguli, enjoy the rest of your day daydreaming, surrounded by this fairy tale landscape. Stay another night in Mestia – accommodations here. Reaching Tbilisi from Mestia in one day can be a bit harsh, but is possible. 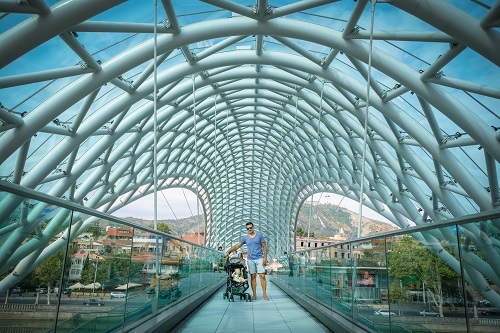 There’s one downside of exploring Georgia – you must always return to Tbilisi, when wanting to reach the other side of the country. 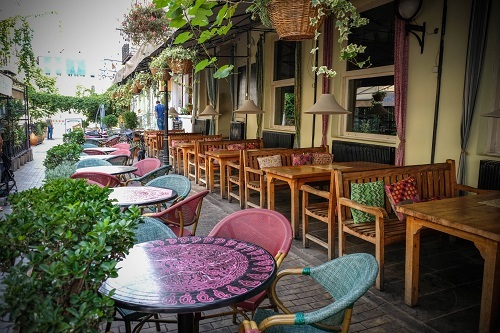 Spend the rest of the day and night in Tbilisi – hotels here. 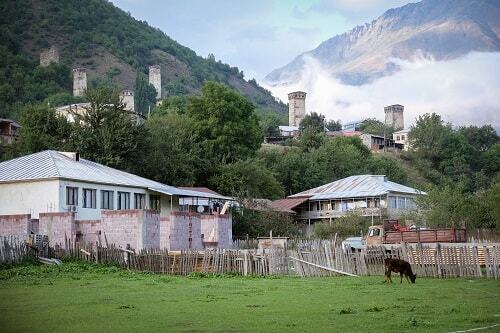 Another long day, full of zig-zagging – it is time to visit Kazbegi. 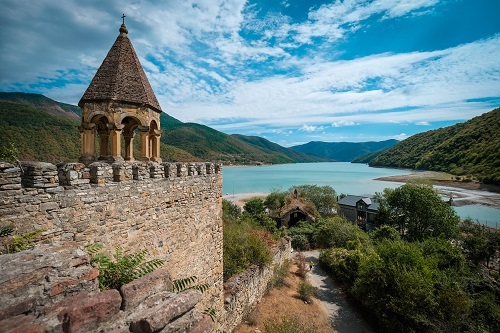 If you’ll be having your own transport, you will enjoy even more, as there are plenty of gorgeous places to take in the views – one of them is Ananuri castle. 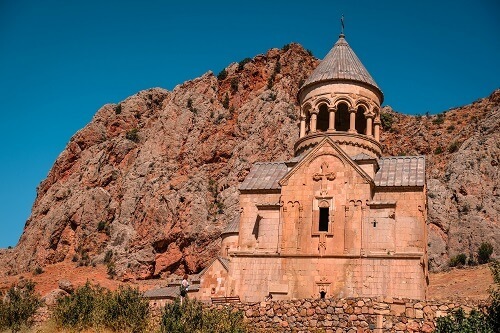 Stay at least one night in Stepantsminda (check out accommodations here) and take a hike or 4×4 ride to the symbol of Georgia – Gregeti church. If you enjoy nature, relax vibe and hiking, you’ll for sure want to spend few more days there. If you like wine, you for sure know that Georgia is known for its special wine – produced in kvevris. If you want to get to know this part of Georgia better, head out to the East of the country. Around Tsinandali town are many wineries – we visited Schuchmann winery, which was bought and took over by a Germany family few years back. It was completely renovated and it really looks amazing. 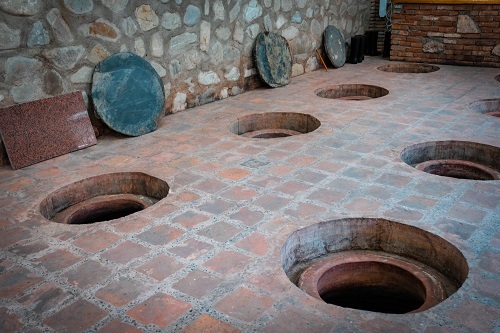 There are wine tasting tours available and you can even spend a night in their boutique hotel, including up-scale restaurant. If you really want to enjoy in wines, you should book a room/hotel here. But if you’ll be traveling to the wineries as part of organized tour, you mostly will return back to Tbilisi the very same day. You will need to start your day very early, if you want to reach the lake Sevan in Armenia before evening – you never know how long will take you on the border crossings. 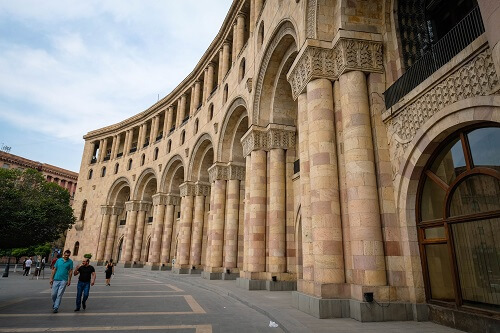 If you’ll be traveling to Armenia by car, have in mind you’ll need to pay for the insurance (the fee depends on the length of your stay in Armenia). First you have to pay the fee at the bank and with payment confirmation you get approved from the costume clerk. Keep the papers with you as you’ll need to show everything again when leaving the country. With the proper confirmation, you’ll be able to leave the country. 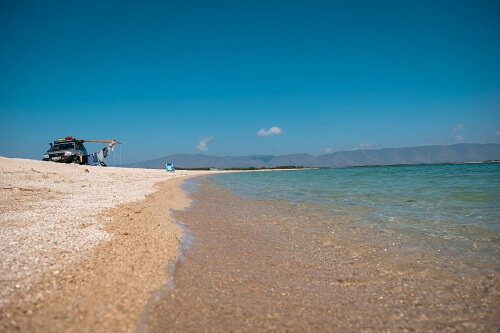 Stay the night along the Lake Sevan – options here. Another long day is ahead of you, but you’ll get plenty of beautiful views along the way – not to mention you’ll be traveling on the Silk road. Don’t forget to stop at the caravanserai Selim, just underneath the highest peak of the Selim pass. If you’re keen on history, you might want to stop at the Khachkar field and Zoratskar observatory too. If you don’t feel into it, just continue your way straight to Tatev and its cable-car. 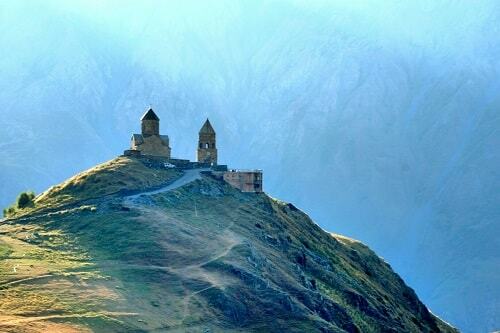 Find a place to stay in Tatev – options for accommodations here. 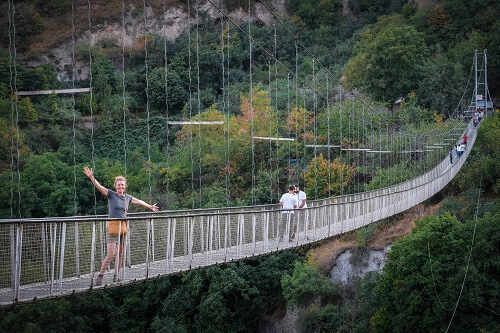 Head out to the east and enjoy a walk over the amazing suspension bridge, which takes you to the less visited sight in Armenia – the Khndoresk stone town. This will be your eastern point in Armenia, as you’ll now be driving back to Yerevan. On the way, not far from the main road, there are two monasteries, worth visiting if you are into these things: Noraank and Khov Virap. You can find more information about both of them here. But if you are already feed up with the monasteries, just head out straight to Yerevan – the capital of Armenia. Stay the night in Yerevan – our hotel was Primer Hotel, offering vast rooms, good breakfast and very good price. Some people don’t like visiting the capitals, because it gets a bit chaotic there, but nevertheless, you definitely should stop in Yerevan – and that’s not only because its brandy factory with tasting and its Genocide memorial. You can get more information about tourist attractions in Yerevan here. 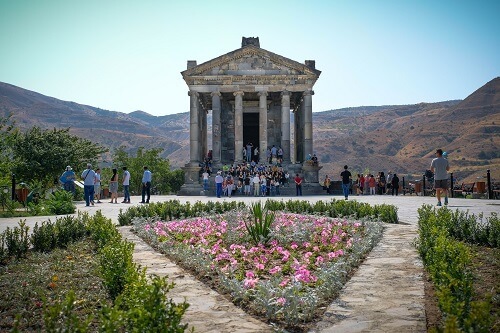 If you are in a mood for a half-day trip from Yerevan, a nice option is visiting the Geghard monastery and ancient Greek-Roman temple of Garni. Stay another night in Yerevan – hotels here. 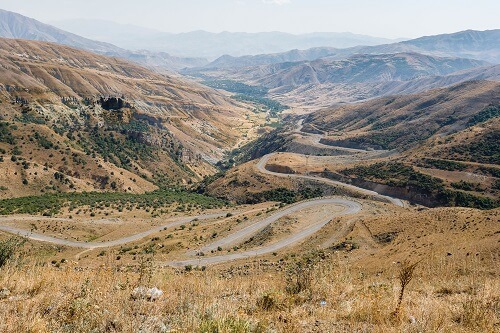 Start your day after breakfast and head out to the Armenian – Georgian border crossing. This western road and border crossing is less popular and that’s why it is also in worse condition. Before reaching Tbilisi, make a loop on the left to see the Vardzia stone-town – very impressive! If you cannot make it to Tbilisi before evening, you might want to stay another night somewhere near Vardzia. Enjoy your last day in Tbilisi, before heading home. 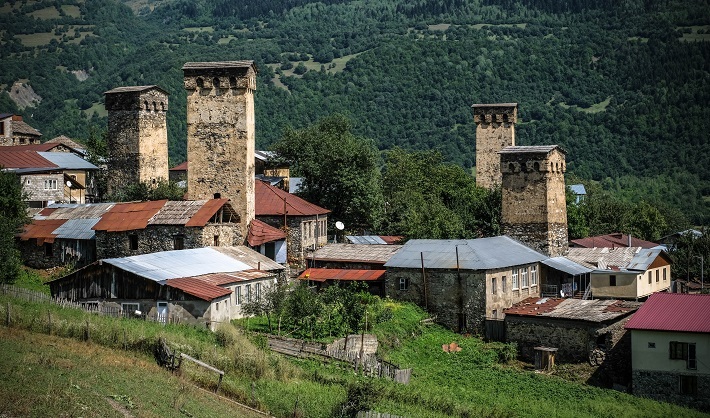 The above travel itinerary is mostly done for travelers, who decide traveling around Georgia and Armenia by car, as some distances rather take long time – even longer when doing them with local transport. 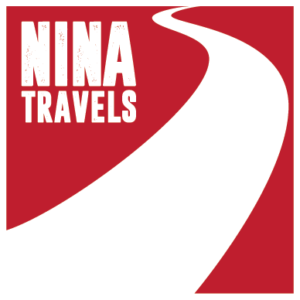 But the fact is, that even if you do have your own transport, this travel itinerary is only a sample one, as you never know how long will you need from one end to another – everything depends of the road condition, traffic and yourself – taking time to enjoy the places. If you’ll be traveling with kids, know, you’ll even need longer due to urgent stops for eating and running around. How did you find driivng? 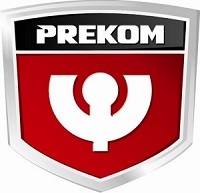 I don’t usually have problems driving overseas but lots of articles say it’s hard to get fuel…was that the case?